The biggest festival that a bengali looks forward to, for the entire year, the Durga Puja 2016 is going on. It is a celebration of the victory of good over evil. This is the time when the air smells of festivity. 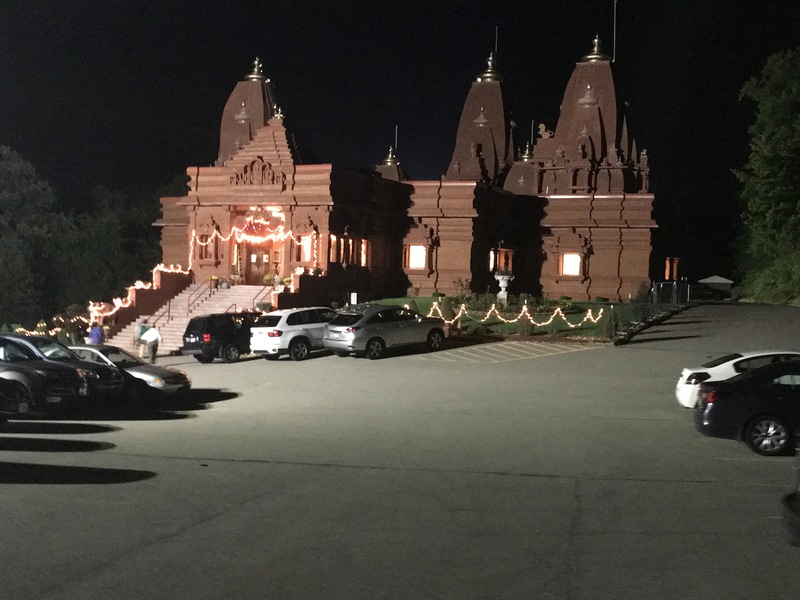 This year I had the opportunity of visiting the Durga Puja at Pittsburgh, USA in Hindu Jain Temple. Once inside the hall, I felt as if I was in India. The rituals, the decorations, the people and of course the food, all made it a lively place to be. 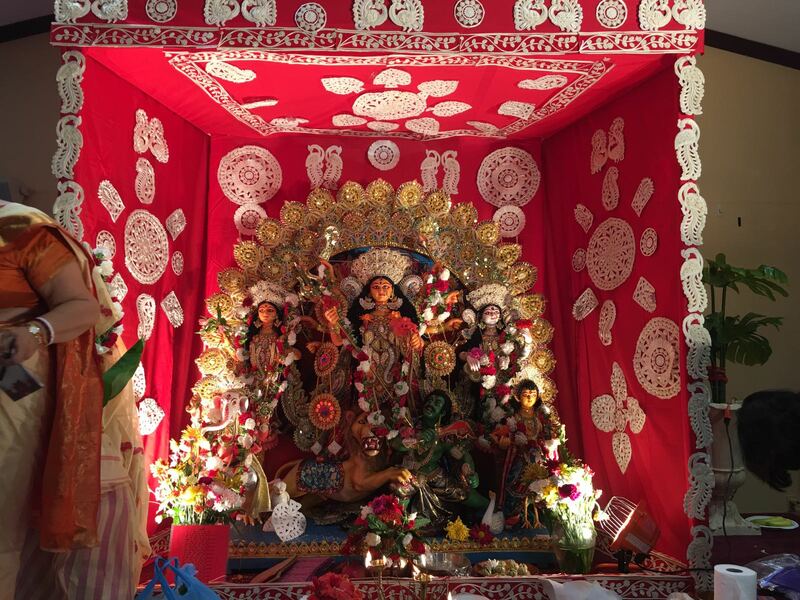 Durga Puja is the time when people get together and discuss on all topics ranging from sports to food. Here also it was so, the hot topic of discussion was Pittsburgh Steelers. Simply proves no matter where they are, bengalis just love sports. It was raining yesterday night and so the weather was cold from the morning. Thankfully it didn’t rain after morning. Once I reached the temple, the serenity of the atmosphere filled me with happiness. I offered my prayers with flowers. The most admirable thing was, the priest translated the meaning of the prayers to the people in English, thus explaining the prayers to everyone. After the puja we had the delicious meal(Puja Bhog) which comprised of Khichadi, fries, veggies and sweets. Also there was a small exhibition of clothes, accessories and jewelry. Cultural programs were held afterwards. The children were playing around dressed in traditional attire. It reminded me of my school days. I thank the Bengali Association of Pittsburgh(http://bengali-pitt.org/bap/) for keeping the culture alive so far from home. Happy Durga Puja to Everyone. May Goddess Durga bless everyone with happiness and fulfill all their wishes. Happy durga puja to you too.. It is great to see all traditions being carries out on foreign soil. .. I am just a simple girl looking at the world and trying to locate herself in it. This blog contains my views on what I see in this world.